With another year down and the promise of a backer demo still precariously out of reach, Asylum backers are understandably chomping at the bit for an update. While a release date is still only a fever dream at this point, Developer Agustín Cordes wanted to give backers a taste of the puzzling encounters awaiting them in Asylum, eventually. In a recent Kickstarter update, Cordes walked backers through the design and implementation of one of the lengthy puzzle branches players will encounter in the finished game. 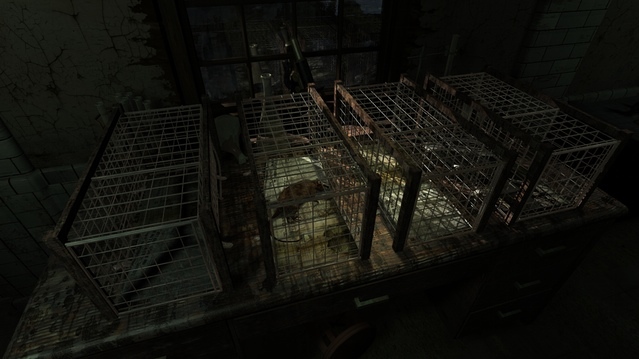 Affectionately dubbed, “Dead Rat in the Cage,” the puzzle challenges players to identify the remains of a particular lab rat experimented on by the staff of Hanwell Mental Institute. 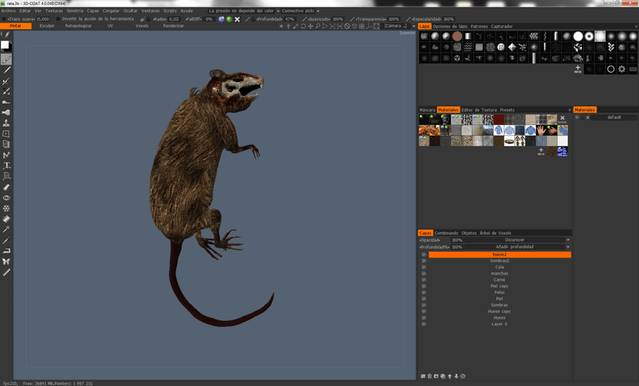 The first step was providing reference images to Art Director and 3D modeler, Pablo Forsolloza. The necessary assets were created from these images and specific conditions dictated by the puzzle. This included the particularly gruesome (and accurate) modeling of a decomposing rat corpse. Nobody said horror adventure was pretty. Once the graphical elements were in place and not removable, it was time to program in some player feedback. Cordes gets a little over-enthusiastic discussing the how and why of data conversion, but I’m sure programmers would find the process interesting. The important take-away was that it’s possible to receive different feedback when selecting the same objects. This prevents annoying repetition while also subtly communicating which objects may be of importance later. Once the player has activated the required puzzle, the objects enter the next “state” and prompts a cursor change. Now players will know exactly which cage they must interact with in order to progress the storyline. Of course they will still need to work out which item will actually open the cage, but Cordes wanted to leave some mystery for the demo. As always, backers swing back and forth between agitation and adulation for the project. Understandable, as Asylum begins its fourth year of development following a $119,426 Kickstarter campaign. The last hint of a release date came at the end of the 2016 Halloween trailer. “Coming as soon as we can. We swear.” Sadly, this is probably the most honest estimate we’ll get for the time being.